I made it to the end. 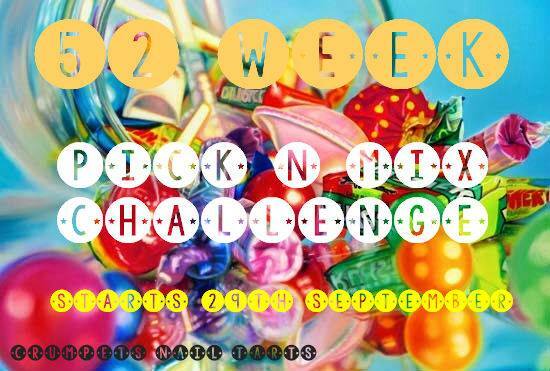 This is post number fifty-two, the last one for the 52 Week Pick n Mix Challenge. The prompts were dark and grungey and/or zig zags. I chose zig zags, which are also quite dark. But not grungey! The base and plain nails are Chanel Fortissimo. 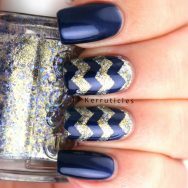 This is a gorgeous navy that has a cobalt shimmer. I’ve been wearing it all week. It’s beautiful and has made its way up there into my top five Chanel nail polishes. I used Essie On A Silver Platter for the contrast. It has pretty holographic blue glitters in a gold base (no idea why it’s called “silver platter” therefore!) There’s something almost Tutankhamun-like about this, with the navy and gold. So that’s it. The challenge is finished. 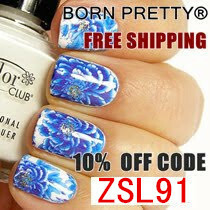 I will try to put together a collage of all the manicures. But I’m not sure how fifty-two of them is going to look. Next week we start a brand new year-long challenge, the like of which you’ll never have seen before. It’s going to be awesome! 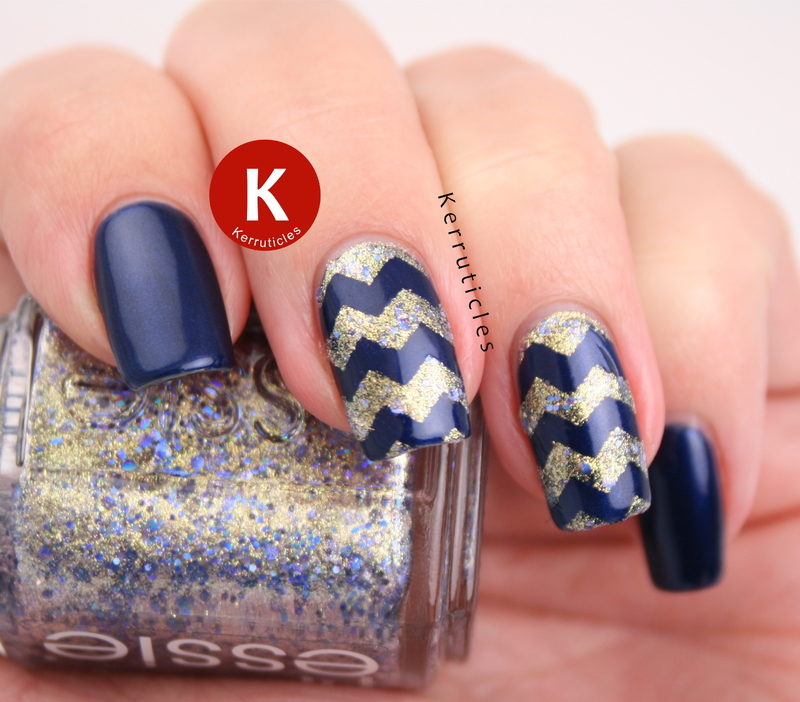 Your chevrons looks great! Much better than ones I’ve done. This is very pretty. 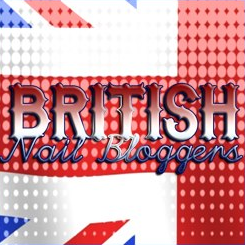 Can anyone do the challenge, or do you need to be invited or have a blog to join in? I think it’s probably closed now, as it’s been planned for several weeks now. 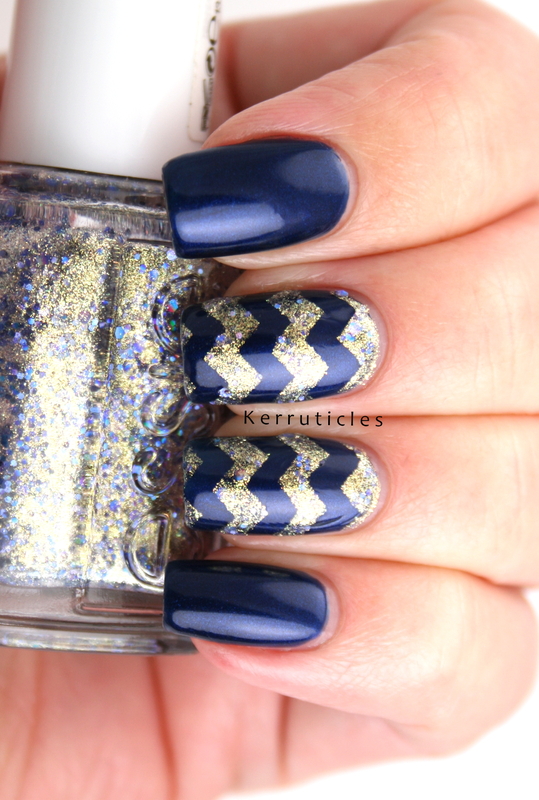 This mani is gorgeous! Congratulations on completing the challenge. I’m looking forward to seeing what you continue to create! 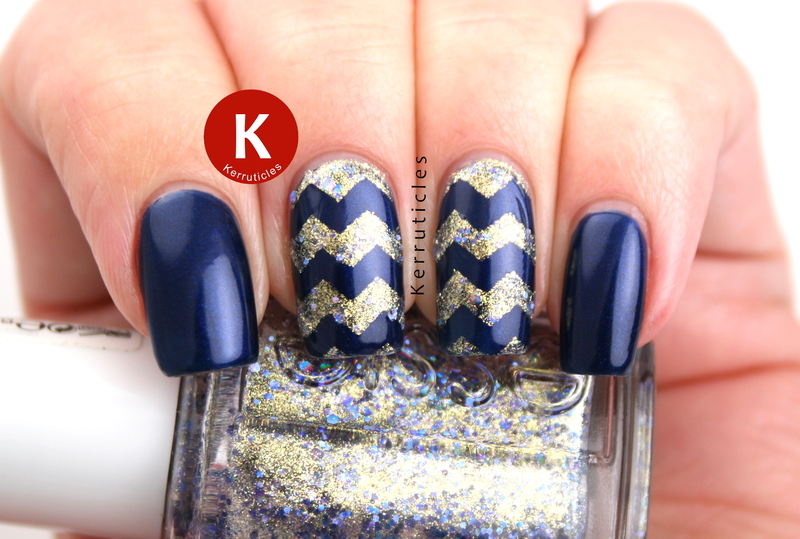 I love this chevron mani Claire!